More specifically, Hayter's writing and research draws attention to mid-20th century voting rights in Richmond, Virginia and in the border South; the implementation of the Voting Rights Act; and the unintended consequences of African American political empowerment and governance post-1965. He is the author of The Dream is Lost: Voting Rights and the Politics of Race in Richmond, Virginia. 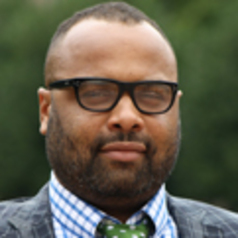 His work has been published in the Journal of Policy History and Richmond Journal of Law and Public Interest. He also contributes to national and local media outlets.